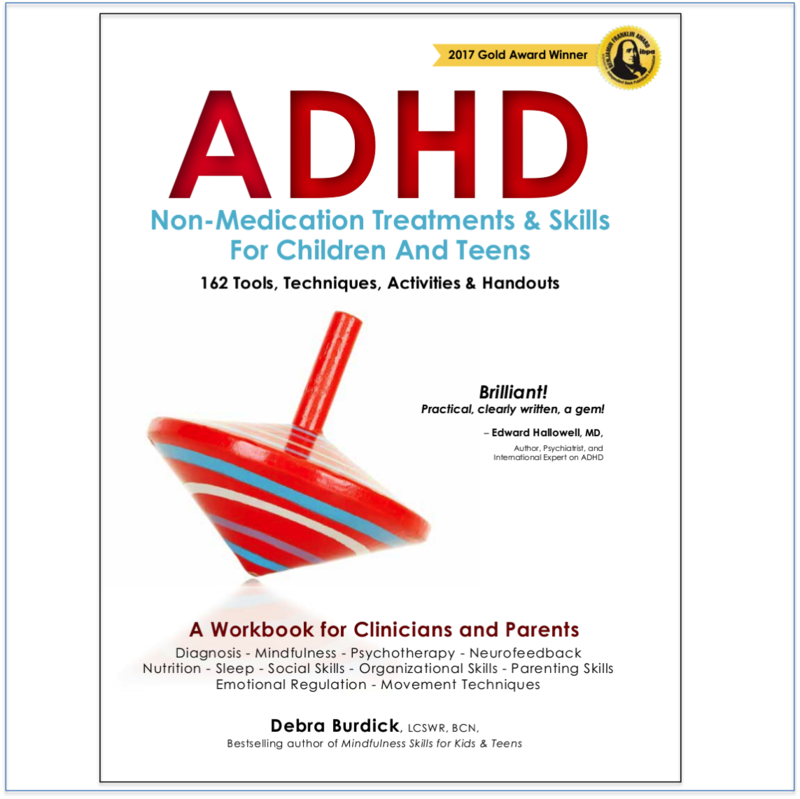 Help your child with ADHD truly thrive! 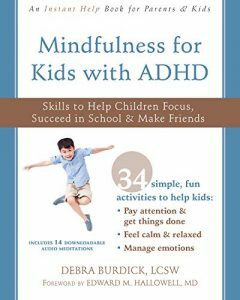 The activities in this easy-to-use workbook will help elementary school aged children develop self-awareness, self-reflection and self-regulation—three skills that kids with ADHD typically need extra help with. 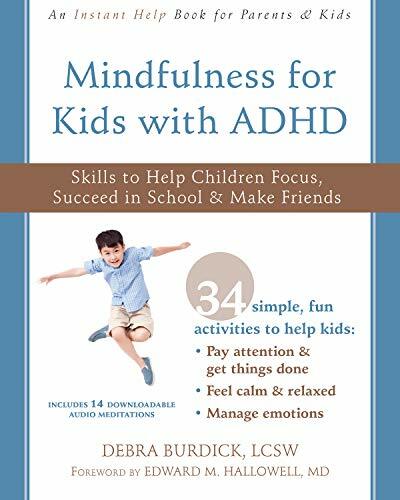 The book also illustrates and teaches the process of setting intention and using specific mindfulness skills to identify and improve feelings, self-image, behavior, stress level, concentration, hyperactivity, and relationships. 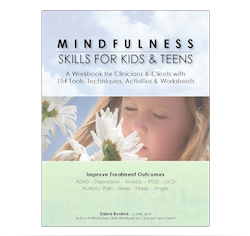 It includes online bonus activities and 14 audio meditations kids can download and practice. Activity 1: What Is Mindfulness? Activity 4: What Do You Need Help With? Activity 5: What Should You Pay Attention To? Activity 10: How Do You Feel Today? Activity 17: How Does Your Body Feel? Activity 20: What Do You Like About Yourself? Activity 21: How Much Sleep Do You Need? Activity 28: How Long Can You Pay Attention? 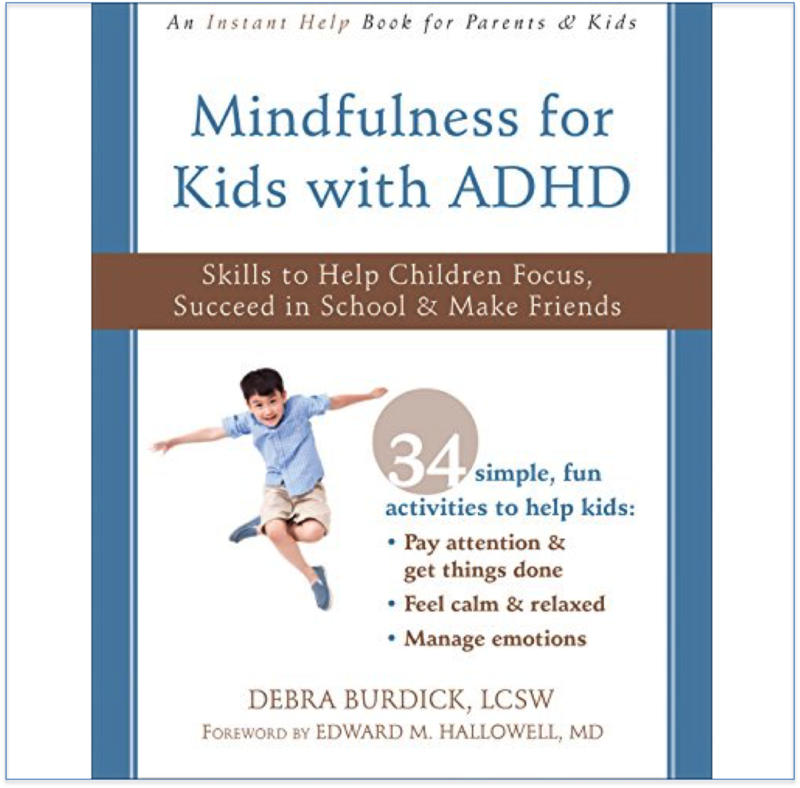 “This book is about mindfulness for kids who have ADHD. I know, B-O-R-I-N-G! But guess what? It’s NOT! It’s actually REALLY interesting! And really HELPFUL! I PROMISE! In this book Debbie teaches us how to train our minds to focus more naturally, evenly, effortlessly, happily, and joyfully. She teaches us how to have fun learning instead of having to struggle. I promise! Once she explains what mindfulness is—it’s paying attention without distraction, if you can believe that—she then teaches you how to do it, if you can believe that. She then explains how to fix ALL KINDS of problems that come up for us all the time—feeling embarrassed, feeling like you’re a loser, calming down during a test, dealing with worry, what to do when you feel really angry, and a whole bunch more—and she explains how to fix them in ways that are really simple and easy to follow. Like, she knows how to explain in ways you can follow and use and even explain to other kids, if you want to. What I am saying is that this is an awesome book, and Debbie is an awesome teacher. She is SO GOOD. You really will like this book. But you do need to take it seriously. You have to pretty much study it to get all that you can get out of it. But what I am saying is that once you get started you will actually WANT to study it, because, unlike memorizing a bunch of stupid stuff, the stuff in this book will make your life better, happier, more successful, and easier. So, please, give it a shot. Take your time. Do the exercises. Share them with your parents. I promise you, you will be glad you did. Soon, without knowing what happened, you will be practicing the ancient art of mindfulness. You can impress other people by telling them you are an expert in one of the most proven practices humankind has ever developed, and it is making your body, mind, and spirit better every day.